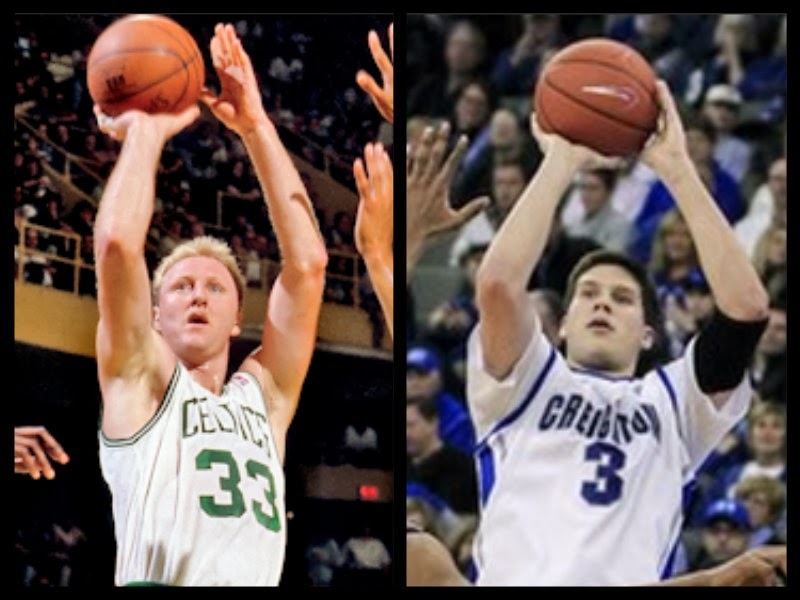 I am not trying to be bold here but Doug McDermott reminds me a lot of Larry Bird, a Boston Celtics legend. Like Bird, McDermott isn't the best athlete on the court, in fact he's usually the worst, but he can shoot the lights out and score at will. Also, they both play(ed) the same position(s), Small Forward and Power Forward. Not only can "Dougy Fresh" shoot, but he also has a post game that makes coaches game plan for it (not like they don't do anyways). One of the biggest things about Doug McDermott's game is his high IQ, which allows him to be successful against bigger and faster defenders on the court. All the signs of a young Larry Bird. As you can see, McDermott could be considered to be having the best season of his collegiate career with him shooting more and upping his free throw attempts per game, which coincides to his bump in scoring average. Doing all this while maintaing his high shooting percentages across board is amazing, not to mention he is facing tougher competition this year. Why Will His Game Translate to the NBA? Like the legend, Larry Bird, or more recent successful players such as Paul Pierce and Steve Nash, he's never relied on his athleticism, but rather his awareness and knowledge of the game. As much as I hate to say it, the NBA is a shooters league now and the best thing in Doug McDermott's skill set is his shot. Why is He a Perfect Fit for the Boston Celtics? It is evident that Doug McDermott is not strong enough to defend in the post and his lateral quickness is quite lackadaisical, so being on the Celtics, a strong defensive team that will overcome his shortcomings on defense, helps him quite a bit. With his inability to play defense covered, he can focus on what he does best, score.The Celtics rank 24th in the league with an average of 95.4 PPG and have an offensive efficiency of 100.0, good for 23rd. 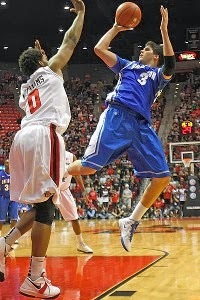 Also, they are the 17th best three-point shooting team with a percentage of 35.7%. 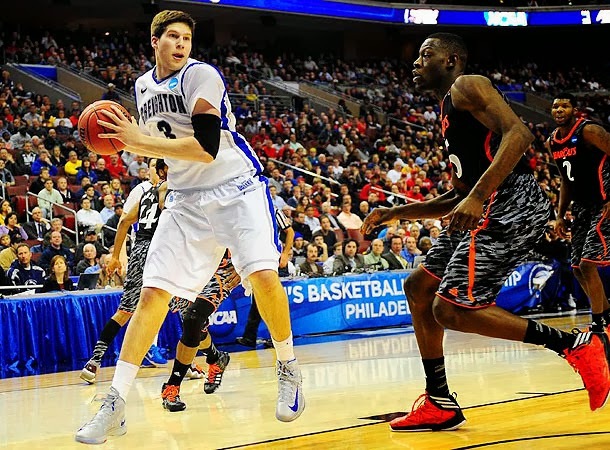 Doug McDermott can certainly help the Boston Celtics in all these aspects and the things is, it is quite possible the Celtics can draft him in the up and coming NBA Draft. Mock Draft's have McDermott going in the middle of the first round and the Celtics are going to end up with a pick between the 16th-22nd picks, plus Atlanta's pick (which is also a mid-rounder). Doug McDermott isn't going to be a star in the NBA but I could see him being a starter and maybe even average 20 PPG or more. Any team would be lucky to have him but I see him as the perfect fit for the Boston Celtics. I totally agree, Doug would be perfect for the Celtics just like Larry Bird! and I think if Doug was given the chance to play big minutes he could be an elite player especially because of his work ethics and he could improve on his weaknesses.